TACTICAL TAILORING: ALTERING MY PROJECT CRETE BDU! If you've followed me for a while, you will know that one of the biggest hurdles I've faced as a ladysofter is finding the kit that fits. 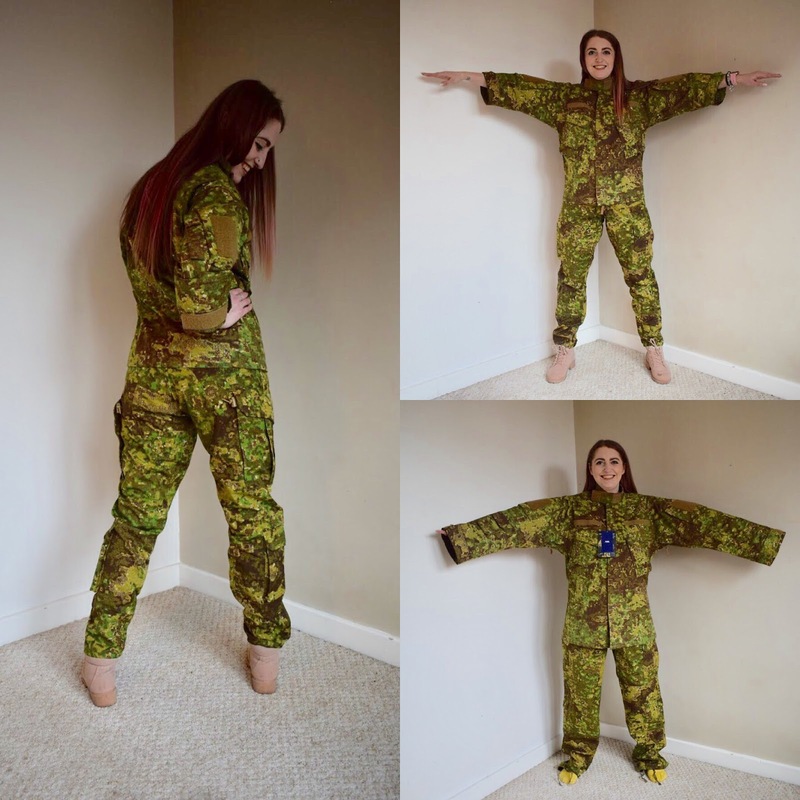 I'm 5"4 and I weigh maybe around 55-57KG so even the smallest sizes in combat clothing are more often than not too big, so sometimes I need to have my BDUs altered to fit my form. Honestly, it royally grinds my gears that I do not have the luxury of being able to up a standard sized BDU off a rack and KNOW it will fit like my male counterparts are able to! In my opinion, I shouldn't have to spend time altering clothing or simply making do. 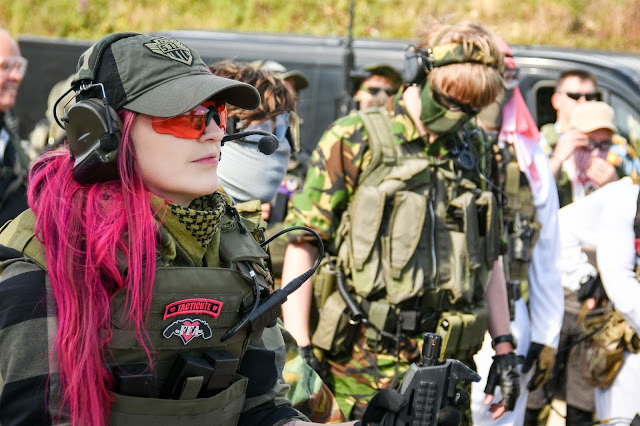 I'll be writing a full low down of the alterations in my next Airsoft Action article, I wanted to give you guys a little snippet of the process. For my trip to Crete for Warzone 6 at the start of May, the team at Military 1st kindly provided myself and Bill a set of Helikon Tex Pencott Greenzone for our loadouts! I was pretty excited about this because Helikon do make a range of tactical clothing for women, but unfortunately this was a unisex size and there was one problem - even the smallest size (size small) was still too big for my tiny form, but luckily my friend Jo Flood over at www.purplepongo.com was on hand with her expertise and trusty sewing machine to give me a hand! I had a quick try on, Jo prodded and poked at the fabric that was drowning me and came up with a plan! For the CPU shirt we decided to: take 4 inches off the arms and lose the pit zips to give the arms a more fitted look, to take 3 inches off the sleeves and reattach the adjustable cuff for comfort (playing in the hot Grecian mountains means I more than likely won't need full sleeves) and we removed the excess fabric on the body. The trousers were a little easier to alter! We took in the waist by 1 inch and removed the middle belt loop, moving down, 4 inches came off the inside leg and to finish the trousers off we decided to take 3 inches off the hem and opted to lose the ties at the bottom to save time! Overall, I'm SO happy with the result! They are so much more comfortable to wear and I actually feel like myself wearing them. Jo has done an amazing job and I'm looking forward to giving these a field test at Warzone 6! Keep an eye out for the subsequent write-ups!